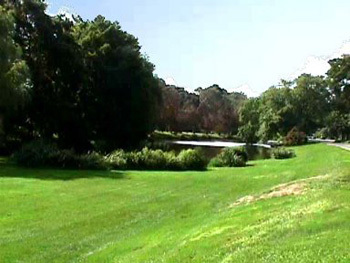 Once a watering place for East Hampton’s cattle, today the Town Pond is an integral part of the East Hampton Historic District. This cemetery, once part of a church yard, was also the site of the first meeting house. 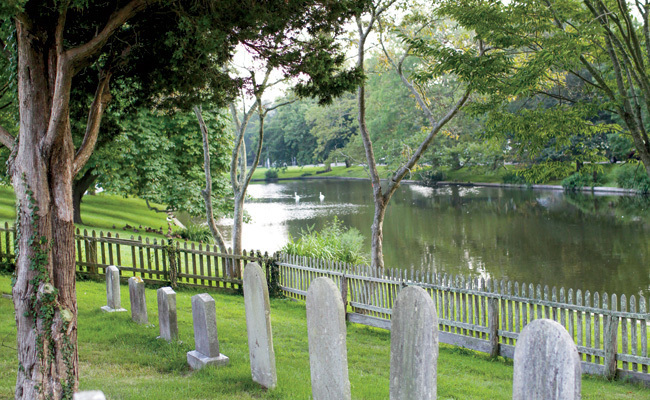 It is the oldest burying ground in the Town of East Hampton, with tomb stones dating back to the 17th century. Built in 1731, the first town meeting hall and school house was moved several times before its final location near the Clinton Academy. Today, visitors can attend “interactive” history classes presented in period costume. 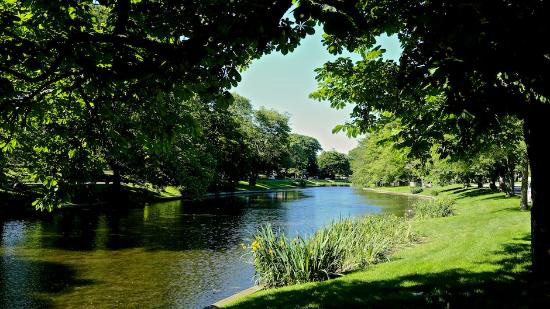 The Common, where village cattle once grazed, originally stretched from the edge of Town Pond to the Hook Mill Green. A cart track on one side of the green was the principal highway through town. Picket fences in front of the Main Street houses kept cattle from straying. The Green was paved in the business district in the early 1900’s. 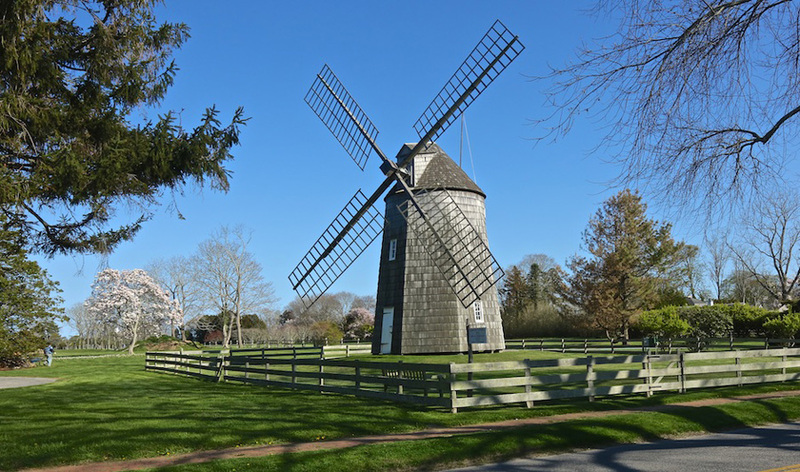 The lower portion was kept intact, and today forms the center of East Hampton’s Historic District. 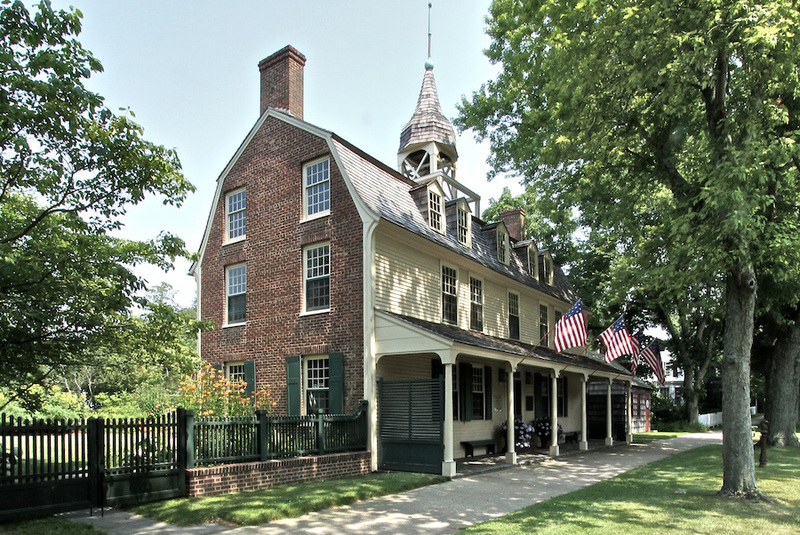 Once the childhood home of John Howard Payne, America’s theatrical superstar of the early 1800’s and author of the immortal song “Home Sweet Home,” this 17th century house has been the inspiration of countless authors and artists. It is open to visitors daily from 10:00 a.m. to 4:00 p.m. Featuring an extraordinary collection of furniture dating from three centuries ago as well as an early 19th century windmill, it is worth exploring with a guided tour. For three centuries this house was the center of a working farm. In the late 1940’s the house was saved from destruction and given to the East Hampton Historical Society. 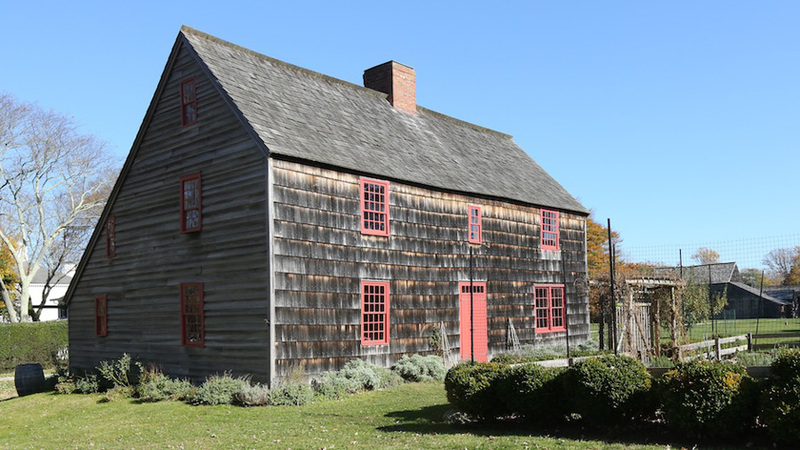 Open during the summer months, Mulford Farm’s house and barn offer visitors a fascinating glimpse into East Hampton’s past. Built in 1784, Clinton Academy was the first chartered secondary school in New York State. 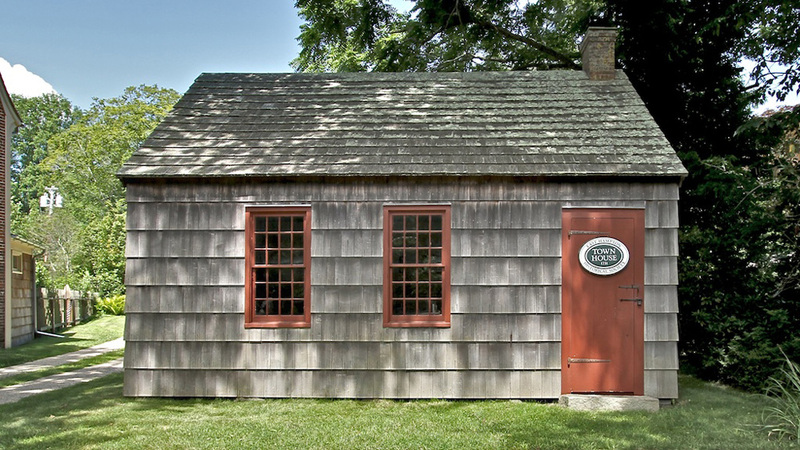 Now under the direction of the East Hampton Historical Society, it is used for exhibitions lectures and other activities. 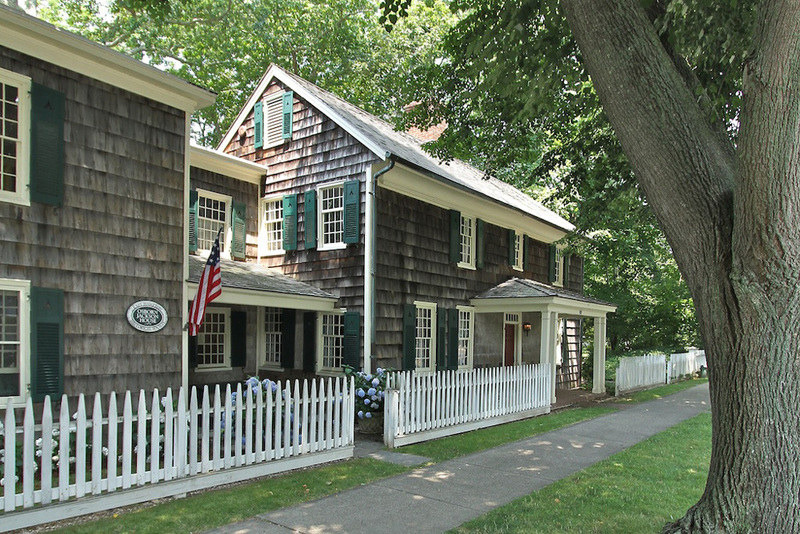 The Osborn-Jackson House, a colonial structure built in 1740, is the East Hampton Historical Society’s administrative headquarters. 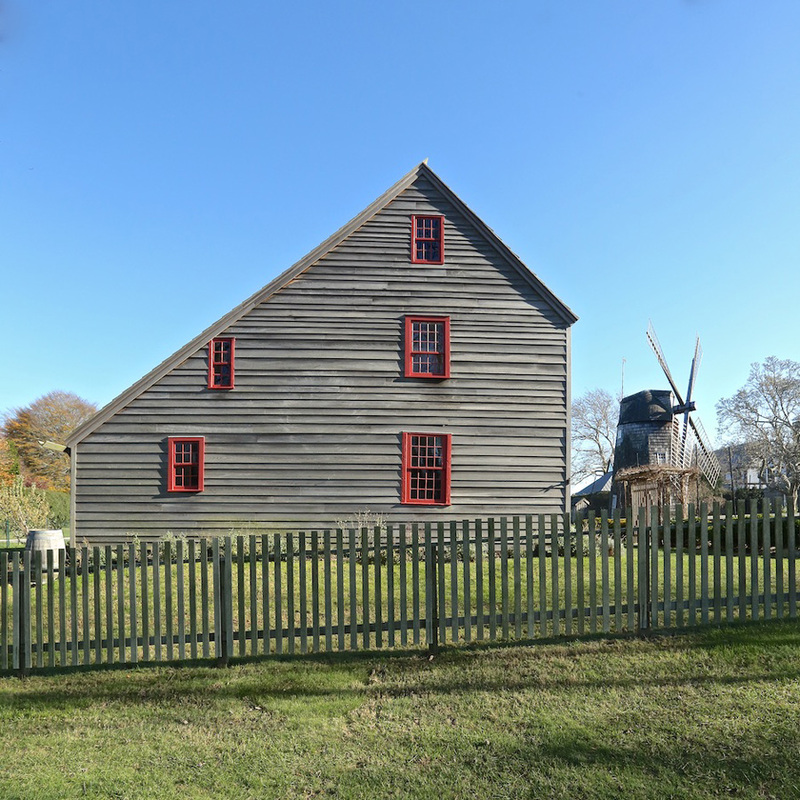 Built by Nathaniel Dominy IV in 1806, Hook Mill incorporates the original main post of the 1736 Hook Mill. 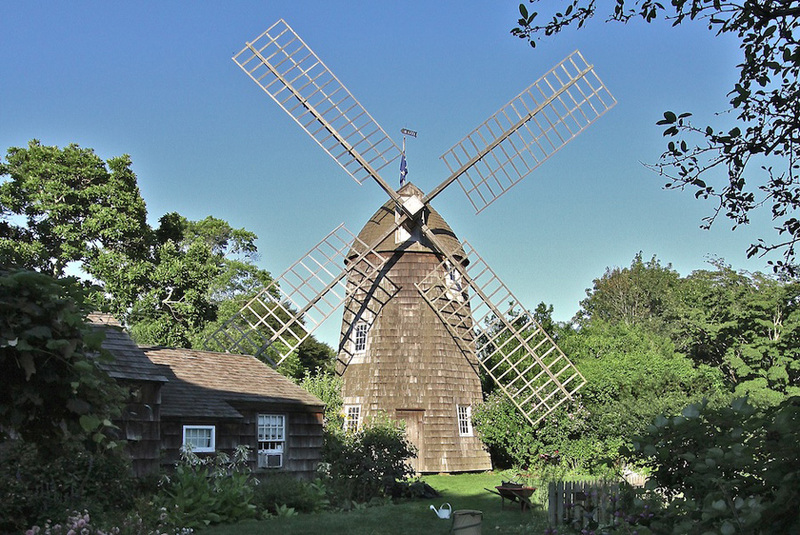 This picturesque Mill is kept in working order by the Village of East Hampton. A marvel of wood technology, the Mill is open to the public for tours during the summer months. This mill, built in 1804, was moved from its original location on Pantigo Road to its current location behind Home Sweet Home in 1917. 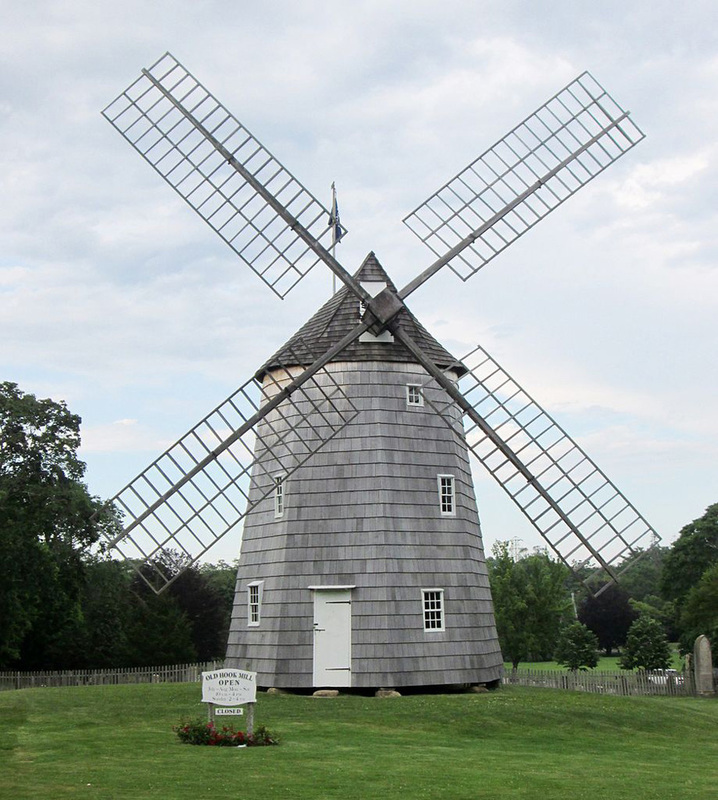 This Mill was also built in 1804 by Nathaniel Dominy V for John Lyon Gardiner.